Book your Stingray City Charter! 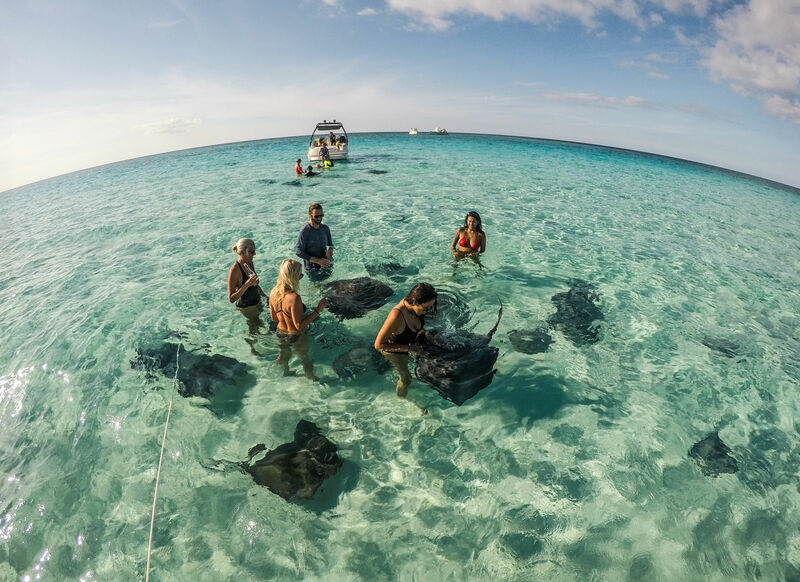 Contact us now to book your Stingray City adventure! With over 50% of stayover and over 30% of cruise visitors attending, the ‘sandbar’ at Stingray City is one of, if not the, most visited attraction in all the Cayman Islands. A naturally occurring 3 foot deep sandbar in the North Sound, this place has become famous because of the 120-150 southern stingrays that visit here regularly. Very intelligent fish, these stingrays visit because they’ve learned to associate the sound of boats with people and thus a free meal. As a result, they do not feel threatened as we’re not invading their home and the majority of them have years (if not decades) of direct interaction with humans. 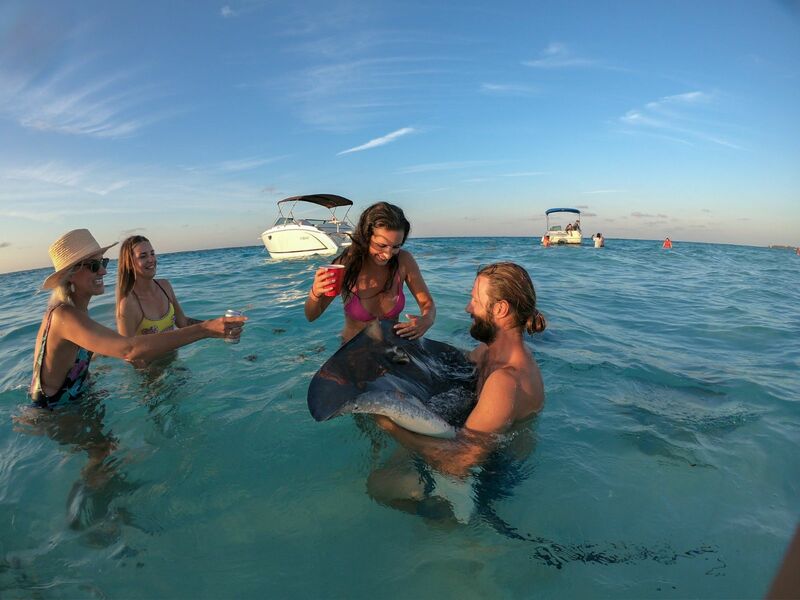 Stingray City is perfect for people of all ages and is sure to be an experience you won’t soon forget. Why should you come to Stingray City with Cobalt Custom Charters? We only run private trips so you won’t be rushed away from your favourite stingray because other guests want to go. There is a limit of one bag of food per boat, per visit. Therefore, you’ll have as much food for a small group that a boat carrying 85 passengers would have. Our crew has visited the sandbar thousands of times and knows many of the stingrays by name (Frisbee, Tattoo, Chunk, Snowflake, to name a few). We’ll take photos that will surely serve as lifelong memories of the time you fed/held/kissed a wild stingray. 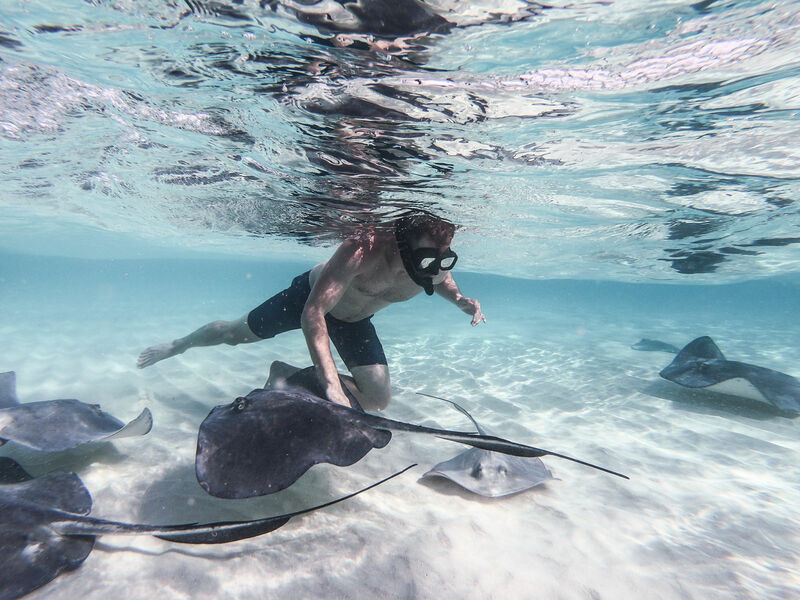 Stingray City truly is a one of a kind experience. We are very blessed to have it and the stingrays here in the Cayman Islands. It is our opinion that no trip to the Cayman Islands is complete without a visit and we’re hopeful that we are the ones to experience it with you. We look forward to hearing from you! To get started on your Stingray City charter, fill out the form and someone from our team will get back to you shortly. If you’re ready to customize and book your trip, Visit our Booking App.